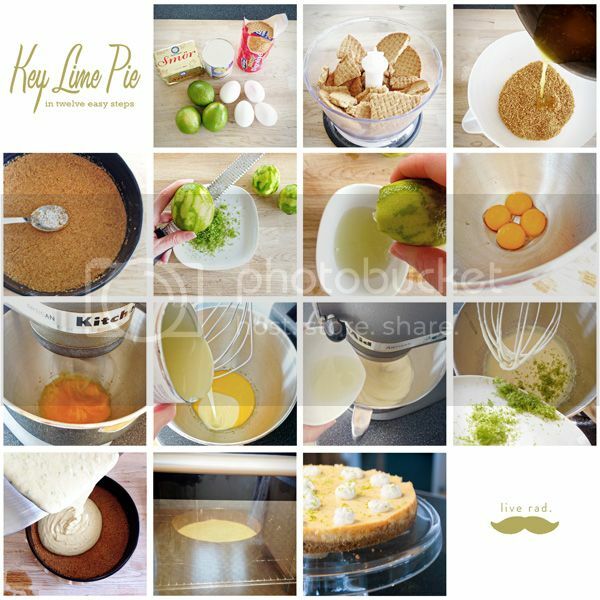 I decided to shoot my baking process of the key lime pie we had last week with my iPhone, just for fun. I think the telephone is easy and quick to use in the kitchen where there are lots of things going on at the same time, and a bunch of messes all over the place. The big girl camera tends to get in the way, especially for those actions shots. I find it difficult to focus and zoom with one hand while pouring or whisking or whatever with the other. With the phone, it's so much easier to get the action shots in. While I don't consider myself cook book material, I do think it would be kind of neat to make a home made mini cook book of my own in this format. This would be especially fitting for the spring and summer food that tends to be easier to cook. And as a side note; if you get a chance do try this recipe out. It's wicked good! Oh, don't you just love it?